WILLEMSTAD - The third seminar of IT platform, ISACA Curacao Chapter, is devoted to computer hacking and how to protect. A Mexican specialist Paulino Calderon will show how to hack a network in one day. ISACA Curaçao wants to take the local IT specialists through this seminar to a higher level so that the computer networks are more secure. 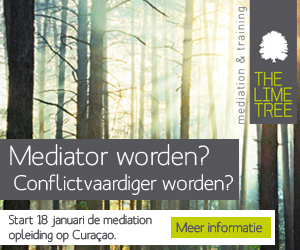 The seminar is on Wednesday October 19th and Thursday, 20th at the Central Bank of Curaçao and Sint Maarten. The seminar has been given the title: "Cyber Crime versus Cyber security - the battle continues ...." There will be Guest speakers from the United States, Canada, Mexico, the Netherlands, Trinidad & Tobago and Curaçao and they will give a full explanation for two days how computers can best be secured. Also, a special presentations will be held, which elaborates on the matter. 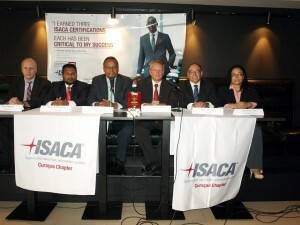 ISACA Curaçao Chapter is affiliated with ISACA International which counts 150,000 members worldwide. The purpose of the Curaçao chapter is to better educate the IT sector and provide the opportunity to participate at low prices to the best training and education in Curaçao. ISACA Curaçao has been declared by the parent company in Chicago as the best small chapter of the world. A recognition that the local chapter and Curaçao is very proud of.